Web Designers, Graphic Designers, Affiliate Marketers, Creatives, Writers and SEOs – Get More Comfortable And Productive In Your Work Day With This Buyers Guide To The Best Ergonomic Office Chairs! Its crazy to think that just a few minor adjustments in your life can make a massive difference to your overall well being and productivity during your working day. I’ve been spending quite a bit of time auditing my life and the everyday tasks that I do. I’ve been looking closely at what I can potentially change to make a difference with regards to my health and to my daily productivity. I’ve been using the same old battered office chair since early 2004. It was very uncomfortable and causing me subtle aches and pains the longer I sat in it. But I just battled on regardless, not thinking too much about it. That’s until I read up about ergonomic chairs and decided to try out a few to see what difference it made to my working day. Well the difference was incredible! 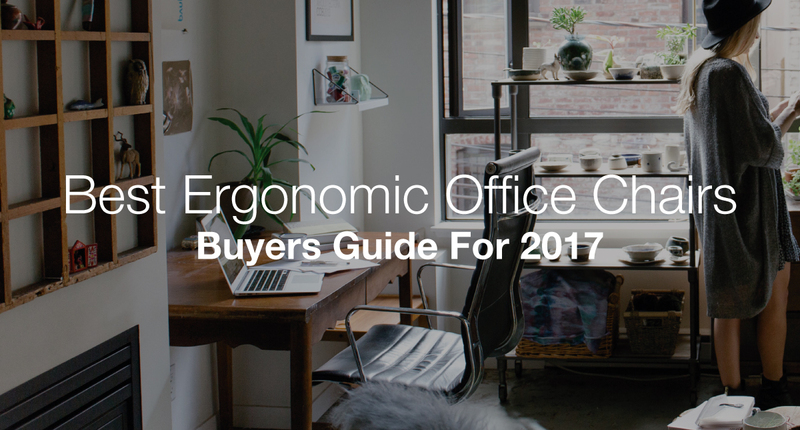 So incredible that I decided to create this buyers guide on Ergonomic office chairs. It has literally changed my working day so much that I actually get everything I need to do in half the time! Before I was getting up every 20 minutes to go do something, when subconsciously I think I was just uncomfortable and needed to get out of my stupid old office chair. Now my chair is so comfortable, I can now concentrate a lot more on my work and daily office tasks. Ergonomic chairs don’t have to be expensive! The one I purchased cost me $140 and I’ve listed it as my Editor’s Choice Ergonomic Chair. The United States has a major epidemic spreading through it, one that is silently taking years off of our lives every day without us even knowing about it. If your first guess was drinking, smoking or even obesity, you’re not even close. This silent killer is sitting, and it’s something that more and more Americans are doing every single day. Whether it’s sitting for hours at a time in an office environment or binging on that hot new computer game, Americans are sitting at least twice as much as we did even a decade ago. Why the increase in how much we sit? Jobs such as Web development, web design and other computer-related industries such as blogging or affiliate marketing have grown almost tenfold in the last two decades, requiring more and more of us to sit in a chair for hours on end. We have more media content at our fingertips than ever before, which also leads us to sit in one place for hours at a time while we consume. Our country and even our world are becoming increasingly sedentary, and there is no way to avoid it. However, there is a way to mitigate and even eliminate the damage that sitting does to our bodies: ergonomic chairs. If you are sitting at a PC for long periods of time, you need an ergonomic chair immediately due to the many benefits it provides to your body. An ergonomic chair is a chair designed to deliver maximum support and comfort to your spine, arms, neck and back. The definition of ergonomics according to the Merriam-Webster dictionary is “[the] science concerned with designing and arranging things people use so that the people and things interact most efficiently and safely.” In plain language, that means that an ergonomic office chair is a chair that allows people to sit more efficiently and safely. What Are the Benefits of an Ergonomic Office Chair? The benefits of an ergonomic chair are apparent the minute you sit in one, as the chair will instantly start taking the pressure off of the four key areas listed above. Think back to the end of a long work day that required you to sit for hours at a time; at the end of the day, you likely suffered from a stiff neck and a dull pain in your spine. With an ergonomic chair, the aches and pains caused by sitting are a thing of the past. An ergonomic chair offers long-term benefits as well, as it helps to reduce carpal tunnel syndrome along with spine curvature and spinal disc injury. Even if you already suffer from some of these problems, an ergonomic chair can help minimize any future damage to your body. It’s never too late to start reaping the benefits of an ergonomic office chair. Who Benefits the Most From an Ergonomic Office Chair? Anyone who sits in an office chair for any length of time longer than 30 minutes will benefit from an ergonomic office chair. If you work in a job that requires you to sit for two to three hours at a time, like web designing, general office work or coding, you absolutely need an ergonomic chair. If you find yourself playing PC games for hours at a time or just relaxing by browsing YouTube for a few hours before bed every night, you can also benefit from an ergonomic office chair. Even if you only use the computer infrequently, experts recommend having an ergonomic office chair just to ensure that your body has the stability and comfort it needs when sitting. Before buying an ergonomic office chair, there are five factors you want to consider before putting down your hard-earned cash: how well the chair reclines, the height of the chair, the seat depth, the armrests and the lumbar support. You’ll want to look for an ergonomic office chair that has a reclining feature built into it, as a chair that reclines will put less pressure on your spine. You’ll want to ensure that you pick a reclining chair that still allows you to view your monitor comfortably even in a reclining position. Also, you’ll want to make sure that when your ergonomic office chair is reclining, you can still comfortably reach the keyboard without straining your arms. Most ergonomic chairs have an adjustable height. The correct height for an ergonomic chair is the height where your feet are flat on the floor, your thighs are even with the ground, and your forearms are level with the surface of your desk. If your chair is too high or too low, you’ll put pressure on your back and legs and negate the benefits of having an ergonomic office chair. Some ergonomic office chairs have the ability to slide the seat forward or backward, which is ideal for office environments where multiple people will use one chair. As a rule of thumb, you’ll want to keep a distance of three to four fingers between the back of your knees and the seat to ensure a proper seat depth. A chair with adjustable armrests will ensure that you can get them in the proper placement. The appropriate location for the armrests differs depending on your height and weight, but a general rule of thumb is that your shoulders should not be hunched over when using the armrests. 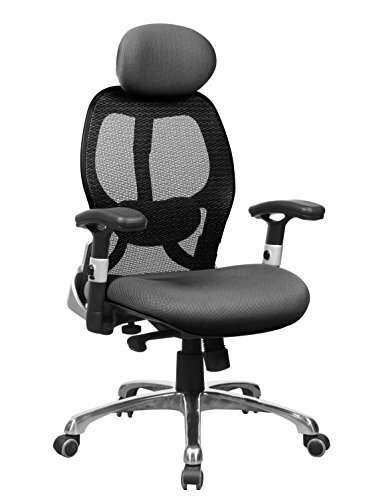 Lumbar support is the number one feature you should look at when buying any ergonomic office chair. Having a chair with excellent lumbar support will virtually eliminate the back pain that accompanies sitting for any length of time. An ergonomic chair with an adjustable lumbar system will allow you to sit correctly, which will improve focus and productivity will eliminating pain. Now that you know the benefits of an ergonomic office chair and how to choose the best one for your desk, you’re ready to buy an ergonomic office chair of your very own. Below, we’ve compiled a table and list of the 17 best ergonomic office chairs that are available today. On this list, you’ll find chairs that slot into specific budgets along with chairs that focus on providing support for specific regions of the body, such as the neck and lower back. No matter what your budget is or what type of ergonomic office chair you need, you’ll find something available on our comprehensive list. This is the chair that I have in my home office. It’s awesome and its under $200! The SPACE Seating Professional AirGrid Dark Back and Padded Black Eco Leather Seat is our editors’ choice pick due to the number of ergonomic features it packs. The SPACE Seating Professional AirGrid Dark Back and Padded Black Eco Leather Seat is extremely comfortable thanks to the mesh siding and leather seat. Almost every inch of the SPACE Seating Professional AirGrid Dark Back and Padded Black Eco Leather Seat is adjustable, from the height of the seat to the armrests. The oversized dual wheel carpet casters ensure a smooth glide across both carpet and hard surfaces. The adjustable tilt tension feature on the SPACE Seating Professional AirGrid Dark Back and Padded Black Eco Leather Seat will ensure that your back and neck remain supported no matter how far back you lean in the chair. There’s nothing worse than having to endure back pain while you’re working. Concentration levels are significantly lower and productivity is out the window! Your office environment might be having a drastic effect on your health, so that’s why a comfortable office chair designed to support your back, can help massively. It can help to reduce or eliminate lower back pain. The following chairs are designed to give you that added support and comfort. 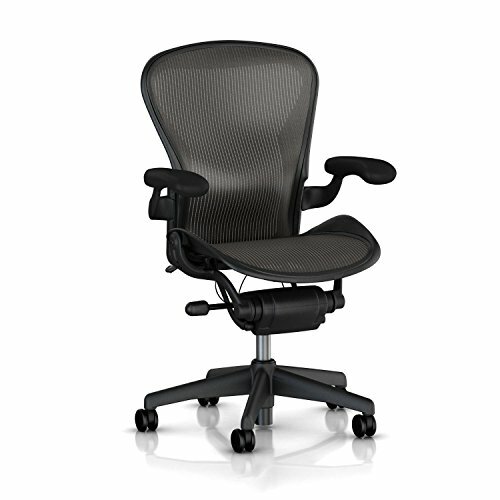 The Herman Miller Classic Aeron Task Chair is one of the best ergonomic office chairs for supporting your lower back. 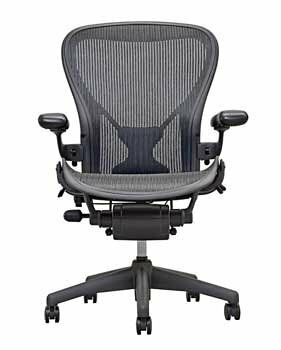 The Herman Miller Classic Aeron Task Chair features a posture fit back support system, classic carbon pellicle material and a tilt limiter to ensure that your lower back feels amazing every second you sit in this chair. 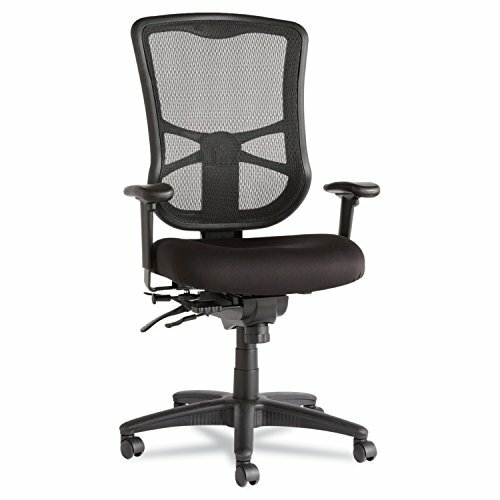 The Herman Miller Classic Aeron Task Chair is fully adjustable as well, making it the perfect chair for a busy office. The Herman Miller Aeron Task Chair provides all of the features of the previous chair with even more exclusive features to help support your lower back. The Herman Miller Aeron Task Chair uses eight latitudinal zones of varying tension to envelop your back, which provides a greater degree of comfort than you’ll find in most ergonomic office chairs. The material that the Herman Miller Aeron Task Chair uses will help keep your skin at a comfortable temperature and ensures you won’t stick to the chair even during those hot summer months. The Herman Miller Aeron Task Chair also includes features that enable the chair to move with your body. As you change how you’re sitting, the Herman Miller Aeron Task Chair will adjust with you so that it’s always providing maximum comfort. The scooped design of the ANCHEER Ergonomic Office Chair specifically cradles your neck and back to provide a soothing sensation while you sit in the chair. In addition to providing superior support for your neck, the ANCHEER Ergonomic Office Chair also relieves pressure on your legs thanks to its scooped design. All parts of the ANCHEER Ergonomic Office Chair are fully adjustable to ensure that you get the perfect fit for your body. The Ergo Human Ergonomic Executive Leather Chair helps prevent your neck from cramping even during long days at the office. 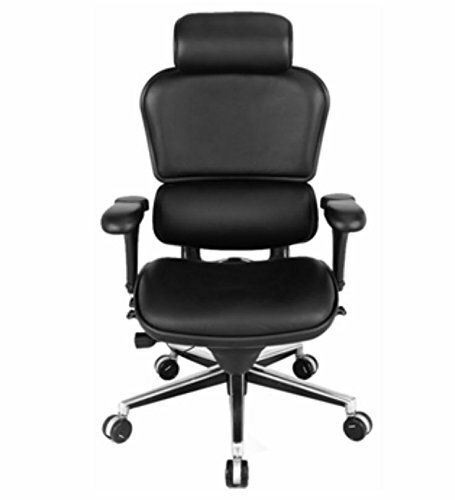 The headrest on the Ergo Human Ergonomic Executive Leather Chair is adjustable and extremely comfortable. In addition to the headrest, the Ergo Human Ergonomic Executive Leather Chair features an adjustable seat, height and tilt. The Steelcase Leap Chair uses a proprietary “Live Back” technology which allows this ergonomic office chair to mimic the movements of your spine. In other words, each time you shift in your chair, the Steelcase Leap Chair will automatically readjust itself to provide maximum support. The Steelcase Leap Chair also features telescoping arms, an adjustable seat and the ability to seat any individual up to 300 pounds. If you have the money, the Herman Miller Classic Aeron Task Chair is one of the best ergonomic office chairs that money can buy. 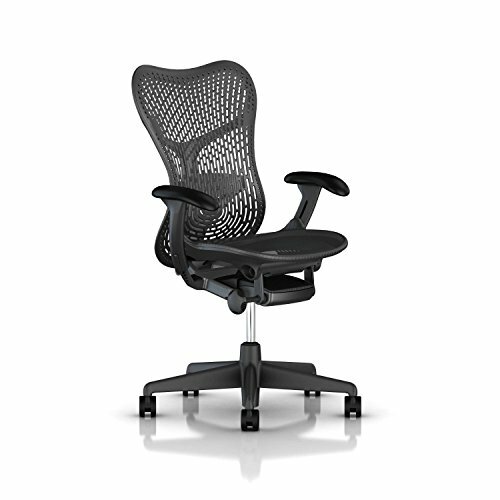 The Herman Miller Classic Aeron Task Chair features a pair of graphite frame adjustable padded arms along with a tilt limiter to ensure that you stay in the proper ergonomic position at all times. The Herman Miller Classic Aeron Task Chair even comes with a 12-year warranty in case something goes wrong. The GM Seating Ergolux Genuine Leather Executive Hi Swivel Chair packs a one-two punch of both looks and comfortability. 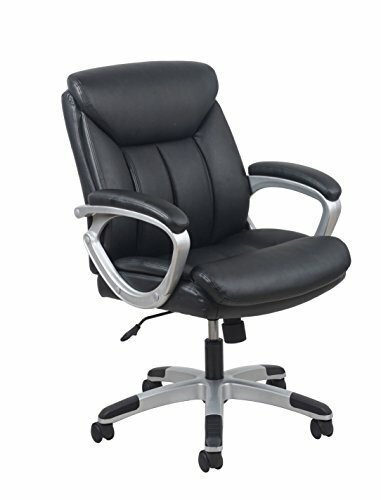 The GM Seating Ergolux Genuine Leather Executive Hi Swivel Chair is made of genuine leather and will help keep your body temperature low at all times. The GM Seating Ergolux Genuine Leather Executive Hi Swivel Chair also features an adjustable headrest, armrests and an adjustable lumbar support system for your lower back. 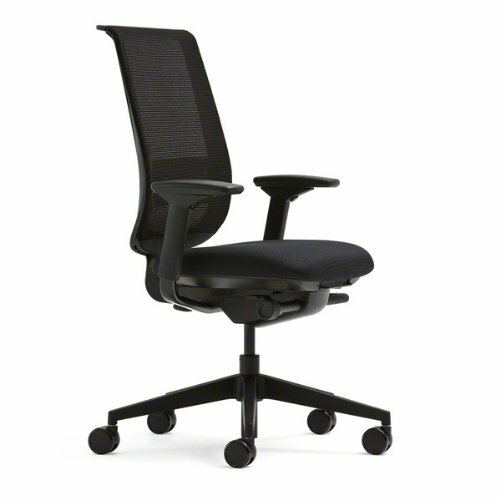 The Steelcase Black Mesh Back Reply Chair uses a mesh fabric weave that provides comfort in a number of ways. Not only is the Steelcase Black Mesh Back Reply Chair soft to the touch, but it also provides support for your lower back, neck and arms thanks to its adjustable features. 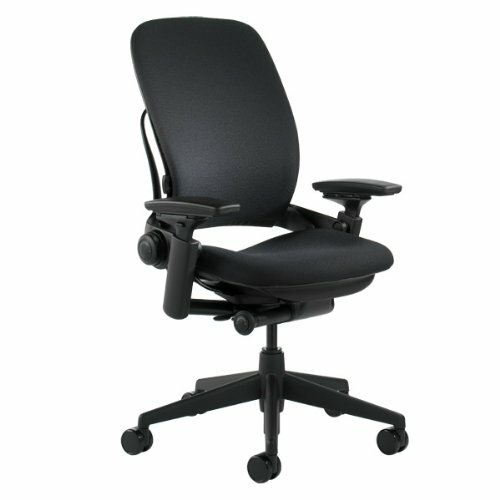 The seat adjustment feature allows you to reposition the Steelcase Black Mesh Back Reply Chair so that even tall office workers can comfortably sit in it. The Herman Miller Mirra 2 Chair offers all of the ergonomic features of other Herman Miller chairs but with one green advantage: The Herman Miller Mirra 2 Chair is made from recycled materials. At least 45 percent of this ergonomic office chair was made from recycled materials, meaning that this chair is both good for your body and good for the environment. The Argomax Mesh Ergonomic Office Chair is all about comfort. The Argomax Mesh Ergonomic Office Chair is easy to assemble, letting even novice builders build it in under 10 minutes. The Argomax Mesh Ergonomic Office Chair is also fully adjustable, allowing you to change everything from the seat to the armrests. Compared to other ergonomic chairs of its kind, the Argomax Mesh Ergonomic Office Chair has a higher max weight: 330 pounds. 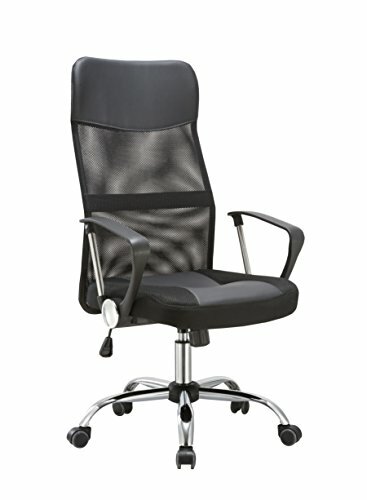 The Office Factor Ergonomic High Back Executive Managers Mesh Chair uses a locking mechanism that enables you to lock the chair in one of four different heights. 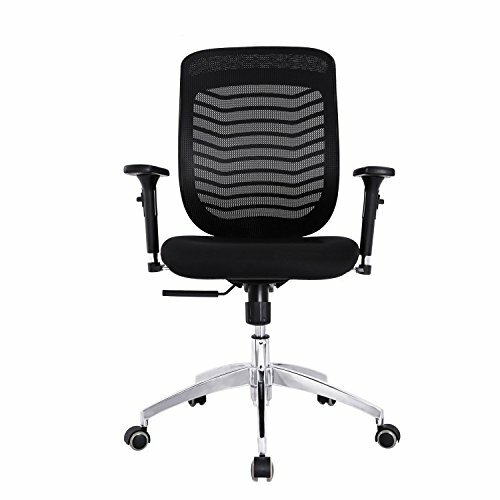 The nylon mesh on both the seat and the back of the Office Factor Ergonomic High Back Executive Managers Mesh Chair ensures that both your skin and your muscles remain comfortable while sitting in it. 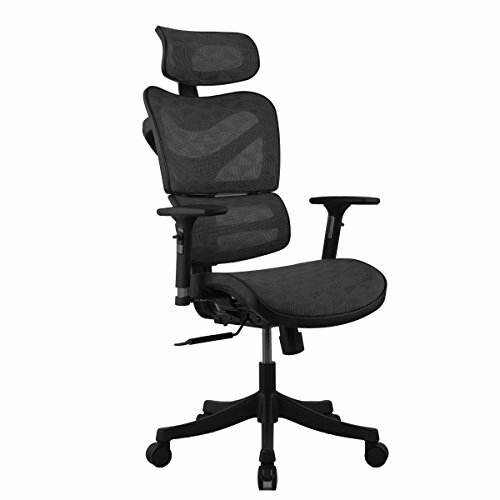 The Alera Elusion Series Mesh High-Back Multifunction Chair provides support for your back, neck and legs in equal amounts. The contoured seat with its waterfall edge helps relieve any pressure on your leg muscles while the adjustable back angle helps provide lumbar and spine support. The Argomax Office Chair Adjustable Mesh Ergonomic Computer / Task Chair is easy to assemble, only requiring you to twist a couple of screws and bolts to build the chair. 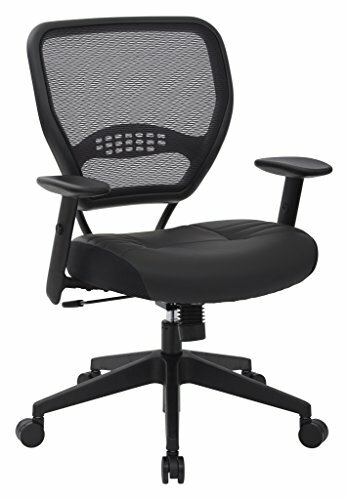 Once assembled, the Argomax Office Chair Adjustable Mesh Ergonomic Computer / Task Chair offers support for your neck and back thanks to an adjustable height and tilt. The Essentials Leather Executive Computer/Office Chair with Arms uses an integrated headrest directly in the back of the chair to provide superior support for your aching spine. The segmented and padded cushioning found in the Essentials Leather Executive Computer/Office Chair with Arms will ensure that you get the comfort you want with a stylish look to match. 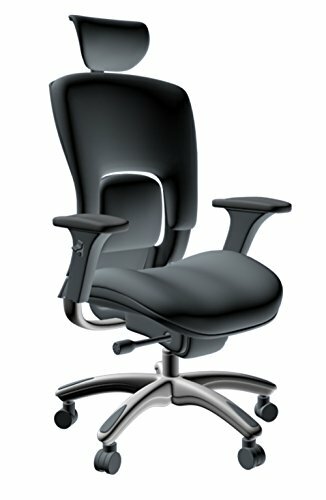 If you’re looking for a budget ergonomic office chair with the features of the more expensive models, then you’ll love the OFIS High Back Ergonomic Mesh Computer Office Desk Chair. 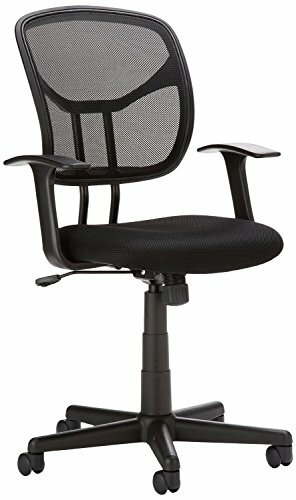 The OFIS High Back Ergonomic Mesh Computer Office Desk Chair provides high-quality lumbar support that provides excellent lower back support. Designed for individuals who weigh 225 pounds or less, the AmazonBasics Mid-Back Mesh Chair uses a padded seat and contoured mesh back to provide support for both your legs and spine. The dual-wheel casters on the AmazonBasics Mid-Back Mesh Chair allow you to roll it from location to location with ease. ERGONOMIC CHAIR gives me a chance to set me a super-productive computer operator without any physical injury as well as other benefits after a training session at SGS Bangladesh since 2013. Thanks Jamie, for your pretty good blog that changes my mind to the way of super-productive in home office.